Are you in need of some expert dating advice? If so, you’ve come to the right place! 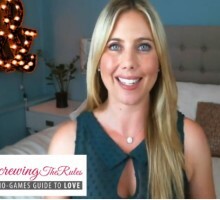 Our Dating Advice Videos page features relationship advice from top dating experts. On this page, you will find dating coaches and matchmakers captured on video as they share tips that will help you with everything from knowing if your man is marriage material to understanding how you can attract the good guys (instead of the bad boys). You will also learn techniques for how to have a successful career while juggling your love life. Our relationship advice video posts are designed to help you get the most out of your relationship and love life. 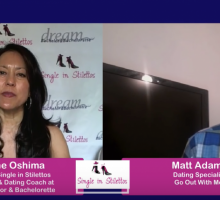 These videos include expert dating advice from Laurel House, a dating coach, relationship expert, and relationship author, and our Single in Stilettos shows, featuring Suzanne K. Oshima, a NYC matchmaker and dating expert. 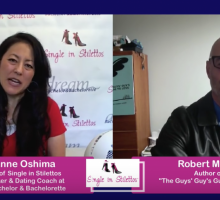 Dating Expert Says Look For What You Need, Not Want! 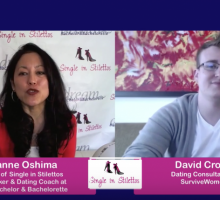 Relationship Advice Video: Rejection Is Part of Dating — Get Used to It! Dating Expert Gives Love Advice: Is It Okay To Fake It? Love Advice for Women: He’s Definitely Interested…But He’s Not Pursuing Me!